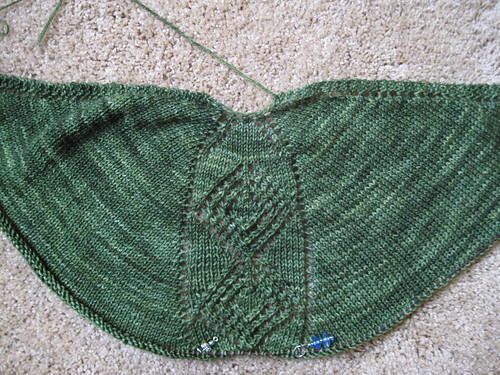 I have been loving seeing pics of everyone's shawls in progress over on Ravelry. Everyone is doing really well! I was a little worried that clue number one was going to be a little too much knitting for one week, but it seems to be doable for most people, which is great! So far so good. I am totally in love with the panel down the center. My math nerd/geometry loving mind just loves it! How's your shawl progress coming? Happy knitting! Come back Friday for Clue #2!